Infuse in students of the Christian faith a growing love for God and His Word, and an ever deepening obedience to Jesus Christ. 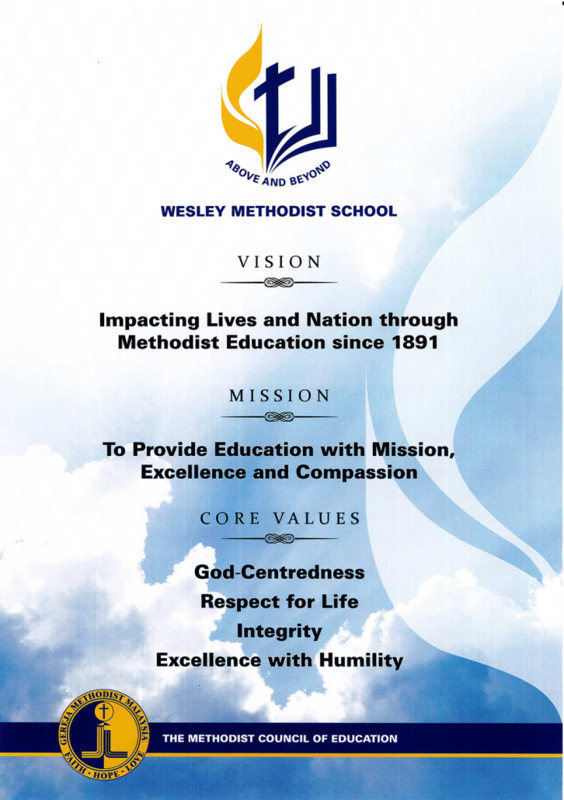 To provide comprehensive and holistic education for all, founded on the Methodist Vision, Mission and Philosophy of Education, regardless of race, religion, language or creed. To pursue our mission at all levels from Primary and Secondary Schools to Pre-University and University education, through Vocational Schools and post-secondary Technical and Commercial education, as well as for students with special needs. To establish educational institutions of excellence where the teachers, environment and ethos collectively contribute to the spiritual, intellectual, physical, social, and emotional development of the students, with the goal that many would mature into God-fearing individuals and citizens. To focus on the student’s unique background, needs, aptitudes and abilities, so that he or she attains the full potential that God intends for him or her. To work in consonance with National Education objectives towards the formation and development of human capital as our Christian contribution to nation-building in Malaysia.